Whether you are Buying or Selling Real Estate In today's Challenging Windsor Essex County market, strategy is everything. With such an important transaction you want someone who will listen to your needs or wants and help you get it. You want a Windsor Realtor(R) with a plan of action, with the highest degree of Professionalism, tools and superior customer service. This way you will get the results you want and deserve. Our Brokerage stands behind its Realtors(R) with support and service to ensure the best outcome for you. Thinking of selling in the Windsor, Essex County area? I would be happy to provide you with a FREE Home Evaluation. 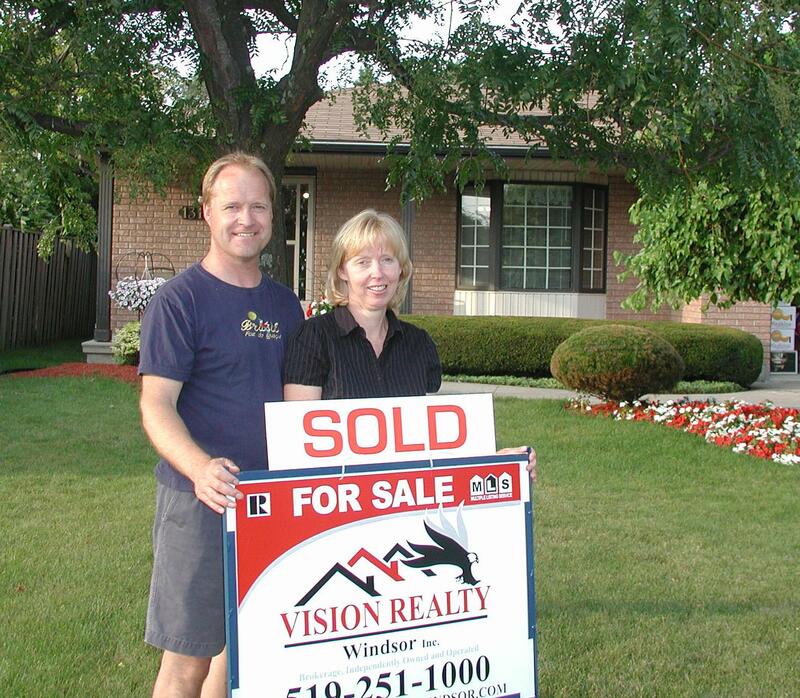 Planning to buy in Windsor, Essex Couty? I will send the latest listings direct to you by email so you are one of the first to see thm. 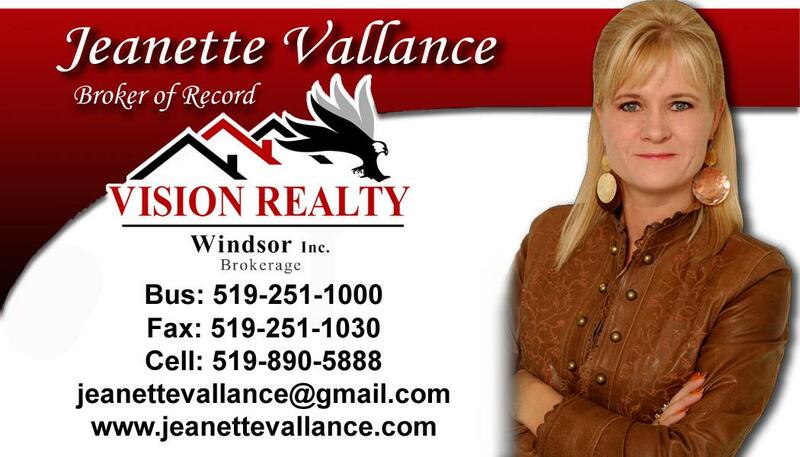 Remember, if you have any questions about buying or selling real estate in Windsor or Essex County don't hesitate to contact me right away. Feel Free to browse my website for listings, reports, important local real estate information and so much more! FOR RESULTS THAT PAY... CALL JEANETTE TODAY!! Wondering what the Home down the street sold for? Want to be the first to get that Hot New Listing? What are people saying about working with Jeanette? How much will that beautiful new home cost you? Need all the information about the area, including schools? Eleven months ago, we contacted Jeanette Vallance to help us find a house to buy. She immediately went to work, first discovering what our needs were, and then sending regular updates on homes for sale that met our criteria. She continued to do all the leg work for us by creating a thorough market analysis of our own home determining what we could sell it for. However, the economy took a nose dive, and we became leery about purchasing a home, and we did not place our home on the market. Jeanette still, at our request, patiently continued to send us new listings but never pushed us to make any decisions. Finally after many months, we saw a house we liked at the right price. Within a week, we put a ‘for sale’ sign on our yard, sold our current home, and had our offer on the other house accepted. It was through Jeanette’s wise advice, skilful negotiating skills, competence, and hard work that these events happened. It is abundantly clear that Jeanette had our best interest in mind throughout the whole process. ©2005-2019 Vision Realty Windsor Inc.